I don't think those rocking beam engines are meant to run at the rpm shown in your video or is it a demonstration video depicting what can go wrong in the event of governor failure perhaps? As the manufacturers are only 20 miles away from my location let me know when it all reverts back to parts so I can quickly send you the necessary. Plus of course a new governor. In writing ever thought of moving on to the hair driver stage of design? They wiz round controllable wise a bit quicker. while I still have new ideas, and therefore for a retail project, I do not think about it at first. 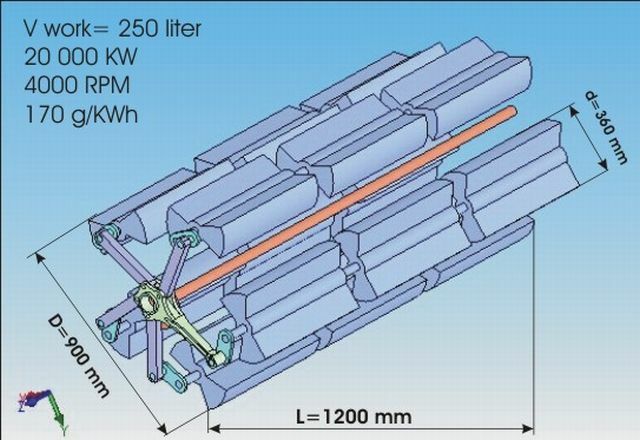 if it was necessary 60,000 KW, its diameter would be about 1500 mm and a length of about 1800 mm .. then it would have the 750 liters of stroke capacity ... and the pistons would not rub against the cylinders, only seals after them .. Even the ones in mm are enough for its accuracy. This is how you can see that, judging by its size, the engine would not use a lot of fuel to rotate itself. I am also concerned about new innovations, so I am holding back this project .. 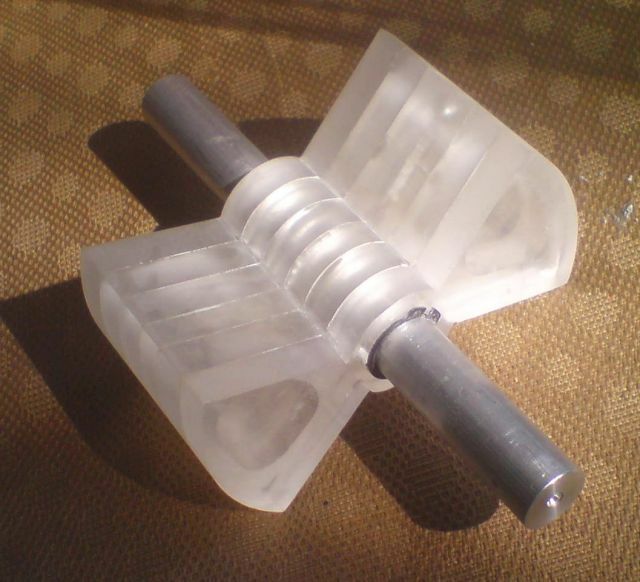 Yes, we slowly develop this way of bypassing the lateral force of the piston .. here, that's all you have to do is one lever that has a half-ring at the end, but the other way round. This way one pulls up and the other down during the movement of the lever ... It can be used for a full four-stroke engine .. Well, see how easy we can cool the water piston ..
Well it would appear that I now have to spend time searching for my old sixties slide rule together with the associated short trousers worn during that era in a futile attempt to understand this advanced latest design from Felixs's drawing board as this one would appear to be so far advanced in design that I am struggling to understand its working capabilities and practicalities contained therein. In other words I don't understand it. So it's back to square one for me on this one methinks. It's good that you write clearly that you do not understand .. Because I think that everyone has been watching my actions for a long time and that they understand everything .. But as you can see it is not so simple .. It makes me realize that I have to really explain everything exactly, I have to tell you that the only way to understand it is to return to slide rule together with the associated short trousers worn during that era, because you need to completely understand the internal combustion engine which in my performance is completely different .. I will try In the hitoric version, I can even show you this ... 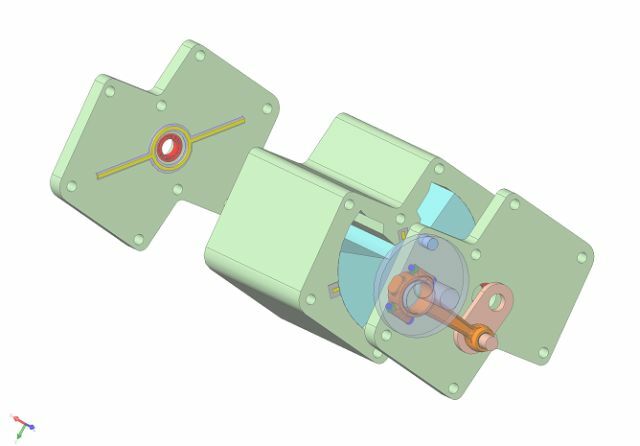 But I have to tell you that even the calculation of the capacity of such a motor is not as simple as before ... because they are two section of the wheel and their surface x length and this will give the cylinder capacity . I think that it is worth trying to understand this, because as you can see the numbers are very interesting. now yes, this animation in the version of the star engine, 15 such engines and each has 4 "cylinders" or 60 "cylinders. Each one has about 4 liters of capacity, with its length of 400 mm .. so there will be space for many valves and injectors ..
Because the dimensions are surprisingly small, (but true, what your slider surely will show) with such a number of elements, it is best to order productions in the country famous for the production of watches or Swiss .. the weight of such a 60,000 KW engine, it is like my slider shows about 14 tons you can deliver it anywhere in the world, even by plane. If you still have some issues to explain, ask me Merlyn, I will try to solve all doubts. First problem I have is my sixties slide rule is in feet and inches? An accurate transposable factor to your metric may not be possible considering imperial dated nineteen sixties era versus 2018 metric conversion factor may or could be not a direct and exact reading at, say for example sixty degrees F? This important aspect needs to be factored into further calculations before one can proceed further ? Yes, I think you have to take into account .. But I think that with time it will be more and more accurate .. I have problems too, because I can not even finish the model from plexi, which can act on the slicked surface due to health and my sky-high pension. If water inlet pressure supply is in psi and those suspicious looking spark plugs are obviously metric surely an imbalance of sorts would occur at " critical rpm readings " especially if the rpm is taken in imperial? How do the spark plugs fire up the water injection system? What fires up the plugs? What plug gaps you running? Merlyn wrote: If water inlet pressure supply is in psi and those suspicious looking spark plugs are obviously metric surely an imbalance of sorts would occur at " critical rpm readings " especially if the rpm is taken in imperial? Yes you are right, that this confusion between metric and imperial systems may not come out well. But in this New Zealand it's probably imperial, but they give you a cubic capacity in cubic centimeters and min-turns. I do not think anything is stuck here ... although older mechanics may seem so ... Here on the 3th page of this pdf, they describe interesting things ... and this is far from the confusion of measurement systems ..
speeds exceeding 160 kph. " I was also curious and I did not want to believe in it ... 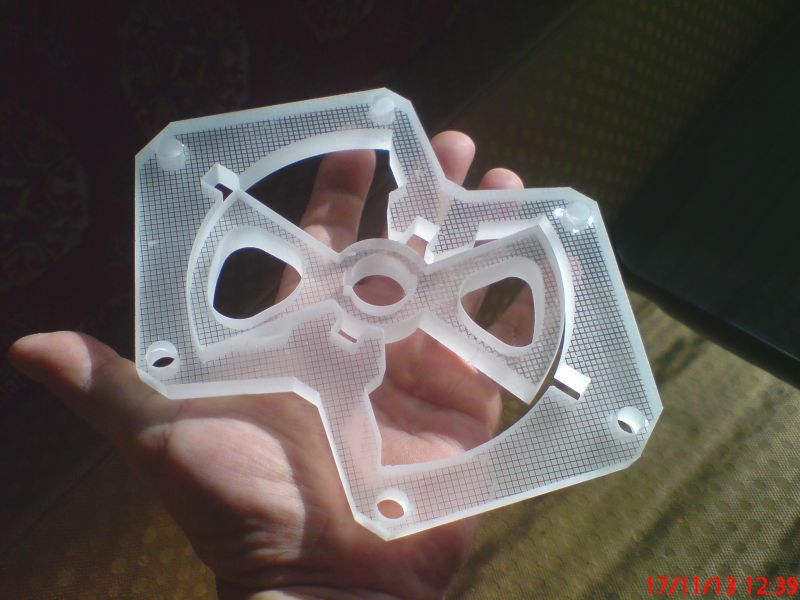 But I also send DXF, from where you can create such a piston on a 3D printer and see for yourself that you do not need much power to change the direction of its balancing .. Does not this remind you of the mechanics drawn by James Watt ? But it's necessary to back 250 years back ..
Hand-drawn diagram by James Watt explaining his discovery of the "parallel motion" in a letter to his Sohn: "The idea originated in this manner. On finding double chains, or racks and sectors, very inconvenient for communicating the motion of the piston-rod to the angulat motion of the working-beam, I set to work to try if I could not contrieve some means of performing the same form motions turning upon centres, and after some time it occured to me that AB, CD, being two equal radii revolving on the centres B and C, and connected together by a rod AD, in moving through arches of certain length, the variations from straight line would be nearly equal and opposite, and that the point E would describe a line nearly straight, and that if for convenice the radius CD was only half of AB, by moving the point E nearer to D, the same would take place; and from this the construction, afterwards called the parallel motion was derived." Of course, instead of a rope, you can use any type of parallel movement mechanism. So this Wats is not bad anymore .. but this string can have such a form of springs from the watch's bannister .. and then it is the simplest solution and guaranteeing higher revolutions .. obviously the ideal is Peaucellier-Lipkin, but also is the most complicated .. 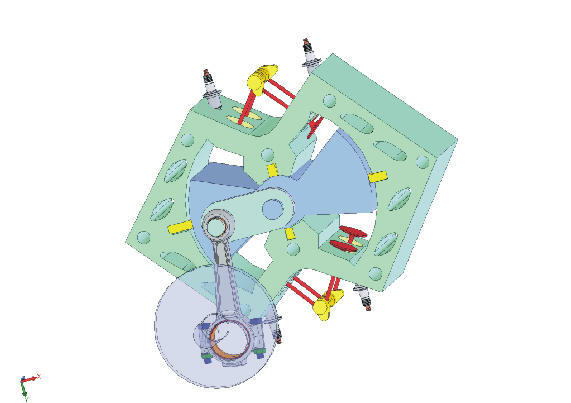 But after some analysis, to which the arms attach to the connecting rod, i.e. which carries the main forces, the rest may not have to be a monstrous size .. 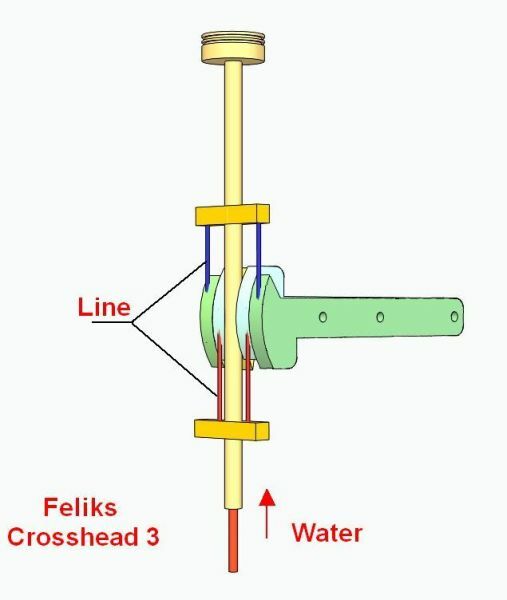 In any case, the use of a traditional crosshead certainly became archaism ... because with the use of any of these solutions, the side force on the crowd does not occur, and was not moved below, to crosshedas, and was liquidated at all ..
Also from my drawing you can see that a very easy way we can do cooling with the water of the piston .. This can give us, due to its very low temperature, a change to Teflon efflorescence and one would be tempted to completely give up the oil. Going back to the beginning of it all ( for me anyway ) and just starting my five year indentured apprenticeship in 1960 I have now decided to attempt to get to the bottom of Felix's futuristic designs once and for all and don my short trousers again and have my old slide rule re-calibrated and start again. These new calculations produced are clearly showing improvements and reveal important facts as to the design shown by Felix. 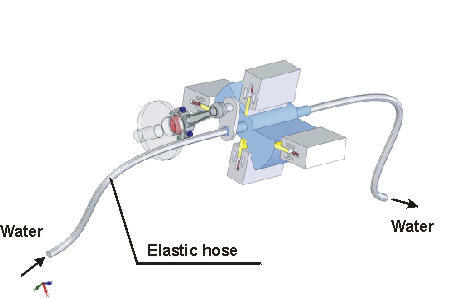 Water injection into cylinders = bent rods as we all know too well the subject of hydrostatic lock ups caused by excessive admission of water into cylinders as water cannot be compressed. 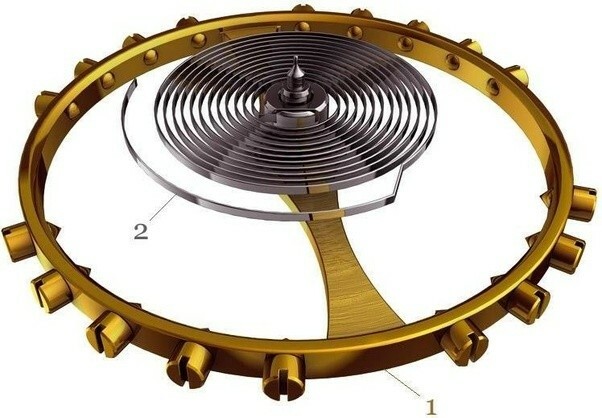 Then realizing this further examination of the linkage depicted clearly shows beyond doubt a watch balance wheel and spring the tapped brass holes and screws being screwed into different holes allowing the transfer of balance to be accurately transferred. 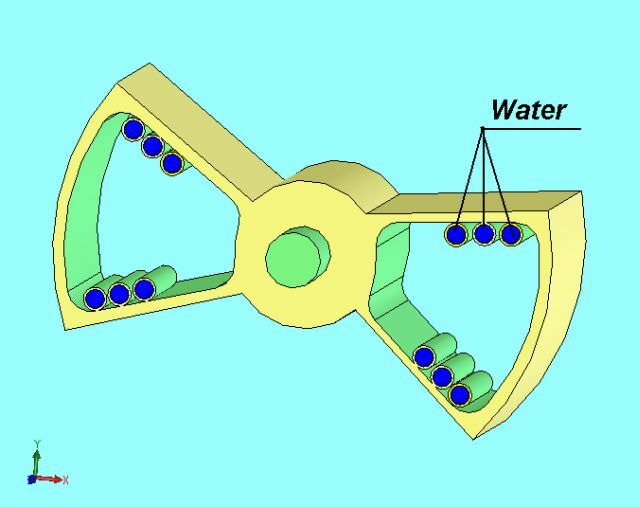 So the water injectors and the balance wheel clearly beyond all doubts depict one thing and one thing only. This is a good question ..
With a new construction a lot of unknowns ... here is one but also a new 3 ways to connect the connecting rod ..
A lot of work for sure .. I wonder where this side force acting in the crosshead has died?